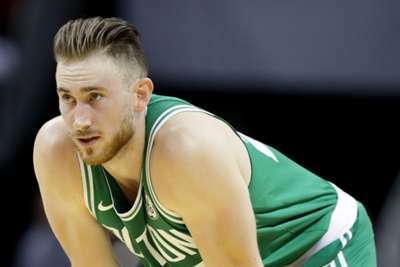 Boston Celtics star Gordon Hayward will have limited playing time at the start of the new season, according to coach Brad Stevens. Hayward has been recovering from a back injury which caused him significant pain during the preseason in addition to recovering from a broken fibula and dislocated ankle he suffered during last year's season opener. Both Hayward and Stevens addressed reporters before practice on Friday, with mixed news ahead of Tuesday's clash with the Philadelphia 76ers. "[Hayward] will probably be a little limited early from a minutes standpoint," Stevens said. Hayward added: "The first week of practice was rough." Prior to last season, Hayward had played in every game in the past four seasons with the Utah Jazz.